Ingredients for making Salt and Pepper Squid This one is Chinese in style, although - as always - I make no claim for authenticity. But it is a particular favourite at home. You will need 300-400 grams for prepared squid tubes for two people. Make sure all of the skin and tough inside bits have been removed from the tubes, then open up each tube with a sharp knife, lay flat and cut into bite-sized pieces no more than an inch on a side. Put the prepared squid into a large flat bowl. This bit is quite unusual, but really essential to get the right flavour. 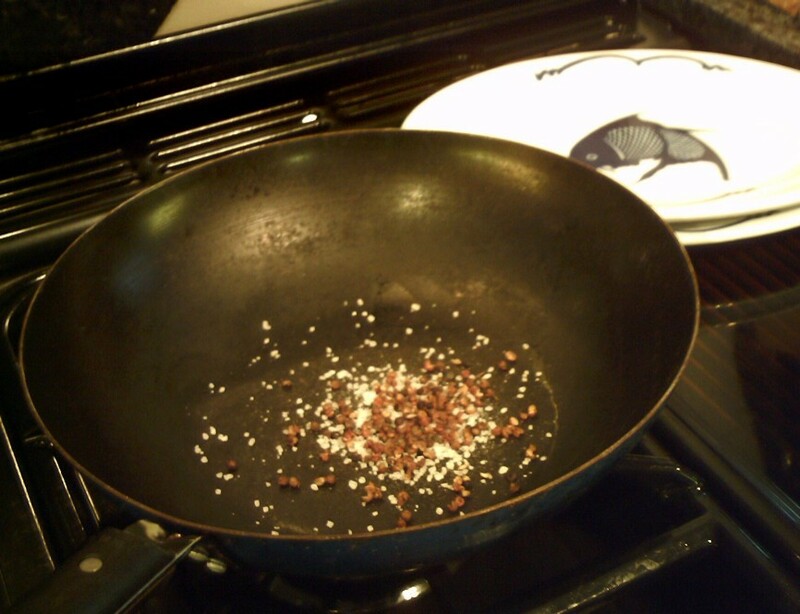 Use a wok, or large frying pan, and heat it up completely empty - no oil or water or anything. In the wok, put a couple of teaspoons of Szechuan (Sichuan) peppercorns - or just ordinary whole black peppercorns will do at a pinch. Also add a couple of teaspoons of coarse salt crystals - sea salt is preferred. Stir the salt and pepper around for a few minutes - the peppercorns will crack and spit a little while you do this. Then, remove from the heat, allow to cool for a couple of minutes, then pour the whole lot into a pestle and mortar. 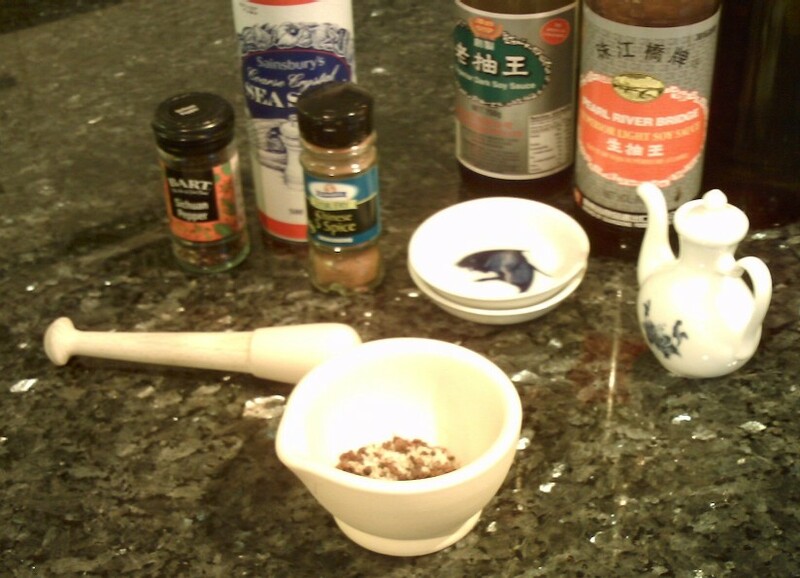 Add a teaspoon of Chinese Five-spice powder (from a jar). Grind the salt, pepper and spice mix to a fine powder using the pestle and mortar. Sprinkle all but a teaspoon of the spicy powder over the squid pieces and rub in - use your fingers! Then add two tablespoons of light soy sauce, a teaspoon of caster sugar and a tablespoon of Chinese rice wine (dry sherry or even white wine vinegar will do at a pinch!). Stir all the ingredients together, cover with clingfilm and put in the fridge for an hour or so. The squid should be cooked just before it is to be served, so that it is really fresh. Half-fill a wok (could be the same one you used earlier - no need to wash it up!) or large saucepan with cooking oil - you will need at least half a pint. Heat it up to medium heat - about 180C. Pour off the marinade from the squid, and sprinkle in a heaped tablespoon of cornflour. Stir well, to make sure the squid is completely coated with the flour. Deep fry the squid for no more than two minutes, in two batches.  Drain on kitchen paper and keep on a warmed serving plate. Sprinkle with the remaining spicy salt and pepper mix. Serve immediately, with Egg Fried Rice and Stir Fried Greens with Oyster Sauce.